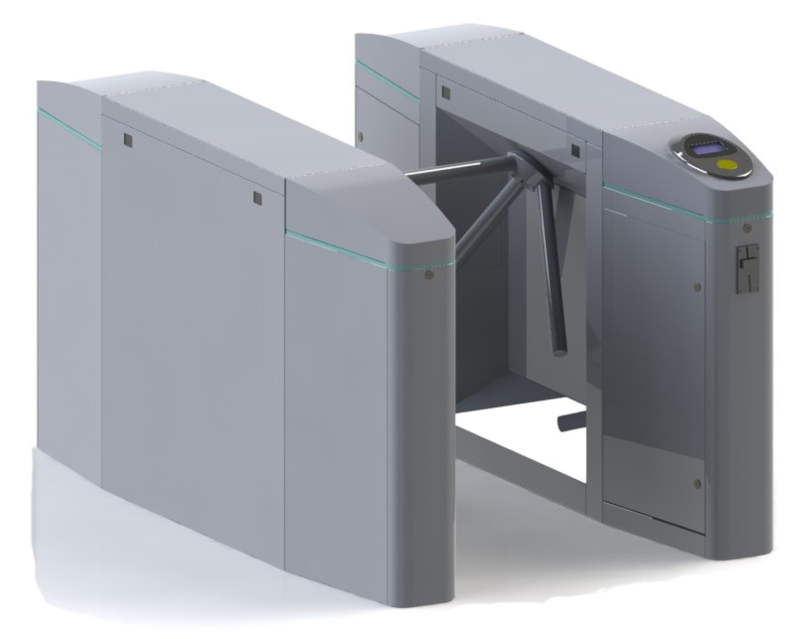 The UT-96m tripod turnstile is designed for passenger access control to the paid areas in public transport. As an access control gate it can be equipped with card reader (magnetic strip, smart contactless cards) and / or with coin acceptor for coins, tokens or smart tokens as well as barcode reader. With passenger safety as a top priority it is fitted with multiple anti panic solutions.